Welcome to SGP's Job Board. If you have a job you would like to post, please contact us. The Longden Lab at the University of Maryland Baltimore Department of Physiology is seeking a highly motivated, independent and creative postdoctoral researcher to join our team. The focus of our research is on understanding the physiological contributions of ion channels and GPCRs to the control of blood flow in the brain. We are interested in determining how this control is disrupted in dementia, and we aim to develop novel approaches to correct blood flow deficits in this context to protect the brain and/or rescue neuronal function. Techniques in use in the lab include in vivo microscopy to measure Ca2+ and blood flow in the brains of anesthetized or awake and freely behaving animals, patch clamp electrophysiology on cells of the neurovascular unit, optogenetics, DREADDs, and pressure myography on isolated brain microvessels. The department of physiology at the University of Maryland Baltimore is internationally recognized for cardiovascular and neurophysiology research and has a long history of making major contributions to these fields. Our lab is located in Howard Hall, a 10 minute walk from Baltimore’s inner harbor area. The ideal candidate will have a PhD in physiology, pharmacology, neuroscience or a related discipline. Experience of live tissue imaging, electrophysiology and myography are preferred but not essential. The Department of Medicine has an immediate opening for a full-time Post-Doctoral research fellow to investigate the basic mechanisms of skeletal muscle excitability in the group of Dr. Roger Bannister. Currently, the group utilizes heterologous systems and rodent models to study how altered CaV channel function contributes to muscle atrophy and the loss of motor units in aging and neuromuscular disease (e.g., amyotrophic lateral sclerosis). We are presently implementing the zebrafish model system to compliment and extend our work with rodent models. 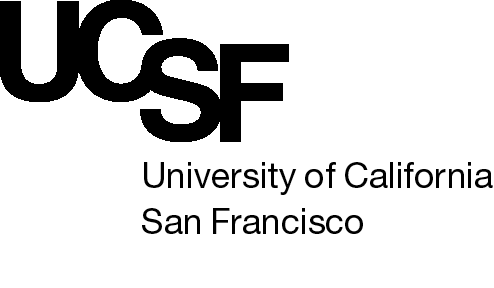 Postdoctoral positions are available immediately for highly motivated individuals with strong backgrounds in electrophysiology and an interest in studies of ion channels in the lab of Prof. Dan Minor at the University of California, San Francisco (UCSF). The Minor Lab merges structural, biochemical, chemical biology, genetic, and electrophysiological methods to dissect mechanisms of complex protein machines involved in electrical signaling. Projects focus on biochemical, electrophysiological, cell based, and structural approaches to study ion channel function and the development of new chemical biology tools for a wide range of channel types. The fellow will benefit from both the outstanding lab environment and the highly collaborative UCSF community. Candidates should have (or expect) an Ph.D. or M.D. and should have demonstrated achievements using whole cell, patch-clamp, or bilayer-based electrophysiology to address ion channel function. The Department of Molecular Physiology and Biological Physics at the University of Virginia invites applications for tenured/tenure-track faculty positions in any area of Molecular and Cellular Physiology and Biophysics. The Department has existing strengths in structural biology, cardiovascular biology, cancer biology, membrane biology, and the biology of infectious diseases. The Department and the affiliated Molecular Electron Microscopy Core provide access to state-of-the art cryo-EM resources and it is expected that at least one new hire will focus on cryo-EM or cryo- tomography in order to solve important biomedical problems. Other areas of particular interest include chemical, structural, and cell biology as applied to cardiovascular and other diseases. Successful candidates are encouraged to be highly collaborative and integrate well with a growing number of researchers and physician scientists in basic and clinical departments of the UVa School of Medicine. Additional opportunities for collaborations exist with researchers in Health Genomics and Personalized Medicine at a new expansion of the UVa Health System in Northern Virginia. Tenure status and rank of the positions depends on qualifications. Highly competitive start-up packages will be offered. Successful applicants will have a Ph.D., M.D., or equivalent degree, will be highly creative, and must have demonstrated exceptional scholarly success in their field. Demonstration of sustained grant or equivalent support is required for appointments at a mid-career or senior rank. To apply, visit https://jobs.virginia.edu and search for Posting Number 0624069 Complete a Candidate Profile online, attach a cover letter, curriculum vitae, statement of research interests and contact information for three references. Review of positions will begin on November 12, 2018. The positions will remain open until filled. For further information about the positions, the scope of the search and application process, please contact Ms. Abigail Platten at acp9e@virginia.edu or Dr. Jochen Zimmer at jz3x@virginia.edu. The Center for Membrane and Cell Physiology at the University of Virginia invites applications for tenured/tenure-track positions in High-Resolution Live-Cell and Tissue Imaging. Live-cell and super-resolution imaging are undergoing a revolution and the University of Virginia seeks to position itself at the forefront of these developments by building a team of creative and highly collaborative scientists developing and employing such methods to solve important biomedical problems. Successful candidates will be resident members of the Center for Membrane and Cell Physiology with an appointment in a basic science or clinical department of the UVa School of Medicine. Outstanding opportunities exist to collaborate with structural, computational, cardiovascular, cancer, developmental, cell, and chemical biologists and neuroscientists in a highly interactive research environment at the University of Virginia. The university and school also supports state-of-the-art microscopy cores that include cryo-EM and high-end fluorescence imaging. Tenure status and rank of the positions depends on qualifications. Highly competitive start-up packages will be offered. Successful applicants will have a Ph.D., M.D. or equivalent degree, will be highly creative, and must have demonstrated exceptional scholarly success in their field. Demonstration of sustained grant or equivalent support is required for appointments at a mid-career or senior rank. To apply, visit https://jobs.virginia.edu and search on Posting Number 0624057 Complete a Candidate Profile online, attach a cover letter, curriculum vitae, statement of research interests and contact information for three references. Review of positions will begin on November 12, 2018. The positions will remain open until filled. For further information about the positions, the scope of the search and application process, please contact Ms. Jennifer Nickerson at jcn6f@virginia.edu or Dr. Anne Kenworthy at akk7hp@virginia.edu. The Department of Pharmacology and Physiology at the University of Rochester invites applications for a tenure-track faculty position at the Assistant or Associate Professor rank. We seek a creative, enthusiastic scientist with clear potential to secure extramural funding for their research program (active extramural funding is required for candidates for Associate Professor) who will synergize with the highly collaborative environment of the Department and the Medical Center’s broader research community. The Department, which has added six tenure- track faculty members over the past three years, offers outstanding research and graduate training environments. Established research strengths in the department revolve around cell signaling in the context of physiology and disease and include: calcium signaling, extracellular matrix and cell adhesion signaling, G protein-coupled receptor pharmacology and signaling, and ion channel structure and function. The successful applicant will receive a highly-competitive start-up package, generous laboratory space, and access to a wide range of state-of-the-art core facilities. The new faculty member will be expected to develop and maintain a vigorous, independent, externally funded research program and contribute to graduate student education and medical school teaching. The University of Rochester Medical Center, the School of Medicine and Dentistry, and the adjacent Schools of Arts, Sciences and Engineering are part of a private, world-class research university, providing excellent opportunities for highly diverse, cross-disciplinary interactions and collaborations. Rochester is a vibrant, mid-sized city located in the Finger Lakes region of upstate New York, within driving distance of New York City, Toronto, Cleveland, and Pittsburgh. The city boasts a lively arts and culture scene and is home to the Eastman Theater, the Rochester Philharmonic Orchestra, the International Jazz Festival, the Strong Museum of Play, and a wide variety of art and music festivals and fairs. The Rochester area was named one of the best places to raise a family by both Forbes and Kiplinger due in part to its short commutes, affordable housing, low cost of living, and quality public schools. Interested individuals should apply on-line to Job Posting #: 210671 at http://www.rochester.edu/working/hr/jobs/ (Under the Job Search heading, click the link for All Other Openings, search for Job Posting Number 210671). Include a cover letter addressed to Dr. Robert Freeman, Search Committee Chair; curriculum vitae; a 2-3 page description of research plans; 2 recent key publications; and names and contact information for three references. Applications will be reviewed on a rolling basis and should be received before December 1, 2018. The University of Rochester and the Department of Pharmacology and Physiology are committed to increasing the diversity of the campus community. Candidates who can contribute to that goal are encouraged to apply and indicate their strengths and experiences in this area. The University of Rochester is an equal opportunity employer. Minorities, women, protected veterans, and individuals with disabilities are encouraged to apply. The Department of Physiology at the Perelman School of Medicine at the University of Pennsylvania seeks highly qualified candidates for faculty positions in the tenure track at the Assistant, Associate, and full Professor ranks. Responsibilities include establishing and conducting an independent research program, plus teaching, supervising, and mentoring students. These positions require an M.D., Ph.D., or equivalent degree, plus demonstrated excellence in research. Candidates with experience in molecular, cellular, or organismal physiology will be considered. Investigators with research programs that leverage molecular and cellular insights to inform physiological, cell biological and pathophysiological functions are strongly encouraged to apply. We also seek researchers who develop and use novel and state-of-the-art biophysical, cell biological and physiological techniques. Research areas of interest include membrane protein structural biology, membrane transport physiology, signal transduction, organelle biology, molecular bases of disease, and metabolism. Other areas will also be considered, with the novelty, importance and potential impact of the research emphasized. Applicants are expected to have funding and an internationally recognized reputation of innovative research excellence and productivity. The Perelman School of Medicine, one of the top ranked medical schools in the country for NIH funding, is a highly collaborative environment with extensive core facilities. It is located on the campus of the University of Pennsylvania, a world-class institution with an easily walkable campus located near central Philadelphia.